It’s hard to explain what’s the difference between an idea and a vision. I will not tread that. It’s harder to give shape to a vision. It’s even harder to give that a viable business shape. Even harder to make that viable business successful. You know this is why I am in awe of Jack Dorsey. The 140 character phenomenon, better known as Twitter is the No:1 news source on social media. It was the best source for me to catch up on Olympics. The quality of engagement on Twitter is so much better. Ofcourse, the disclaimer is, games on Facebook = More fun and better than the Biebers, Gagas of Twitter! You know, there is an age old joke on social media, Facebook is the place where you are friends with people you wish you were not with and Twitter is the place where you meet strangers you wish you were friends with. This is extreme because this is a joke but tone it down a bit and you’ll see the rationale behind it. Let me not get into that. I leave it to your judgement. The post is more about Square. The second innovation, viable business model, viable business, sustainable viable business from Jack. I am not saying that Square is a better innovation than Twitter or Twitter is better than Square. 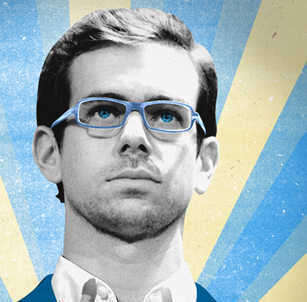 All I am saying is, Square is a better business than Twitter. Why? It’s easier to monetize. Simple. When you make a social media platform, you have to wait for its acceptance from the users. When the users reach in multiples of millions, you have to classify the users according to demographics, class, etc etc etc and devise a model of sponsored ads, tweets, follows etc etc etc. You have to invariably wait for a period of 5-8 years of cash in, depending on the acceptance. Square. Boom. Bang. Ding Dong. What do you need? You need a seller/trader/reseller/company with an iPhone, iPad. That’s it. All you need to do post that, is to provide them with a reader. And you need customers using credit cards. Wow! It’s no rocket science, you see. Transactions attract a fee of $275/month. The viability for a seller is immense. Starbucks would NOT of the icing on the cake. It’s the foundation of an Iceberg. Cash is fading fast. It’s convenient for people. Recently, the Starbucks-Square deal happened and suddenly, there was a deluge of posts on Square. You can read them to get some know on Square. Yo Jack! Twitter will win big. Real big. But as “The Social Network” said, Million $$$s are not cool. You know what’s cool? A BILLION $$$s. Twitter will win big. Square will win bigger. Ok the image below is courtesy fastcompany.com. This entry was posted in Musings on Services, Musings on technology and tagged Entrepreneur, Innovator, MCommerce, Mobile, Tech. Bookmark the permalink.